NEW. 9781138881969 This listing is a new book, a title currently in-print which we order directly and immediately from the publisher. For all enquiries, please contact Herb Tandree Philosophy Books directly-customer service is our primary goal. New. 260 p. Military History and Policy . Intended for college/higher education audience. In Stock. 100% Money Back Guarantee. Brand New, Perfect Condition, allow 4-14 business days for standard shipping. To Alaska, Hawaii, U.S. protectorate, P.O. box, and APO/FPO addresses allow 4-28 business days for Standard shipping. No expedited shipping. All orders placed with expedited shipping will be cancelled. Over 3, 000, 000 happy customers. Fine. 260 p. Military History and Policy . Intended for college/higher education audience. In Stock. 100% Money Back Guarantee. Brand New, Perfect Condition, allow 4-14 business days for standard shipping. To Alaska, Hawaii, U.S. protectorate, P.O. box, and APO/FPO addresses allow 4-28 business days for Standard shipping. No expedited shipping. All orders placed with expedited shipping will be cancelled. Over 3, 000, 000 happy customers. New. 260 p. Military History and Policy . Intended for college/higher education audience. Very Good. A few light scratches and minor shelf wear on jacket. Content is fine. Sewn binding. Cloth over boards. 250 p. Cass Series--Military History and Policy, 10. Good. 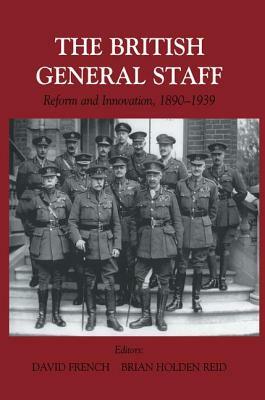 The essays that comprise this collection examine the development and influence of the British General Staff from the late Victorian period until the eve of World War II. Sewn binding. Cloth over boards. 250 p. Cass Series--Military History and Policy, 10.